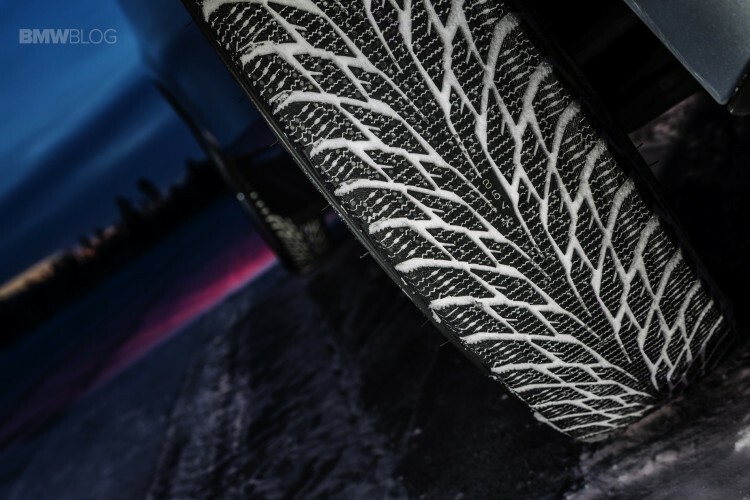 In 2014, when the BMW i3 first went on sale with it’s unique tire dimensions, the Blizzak LM-500 was the only winter tire available. 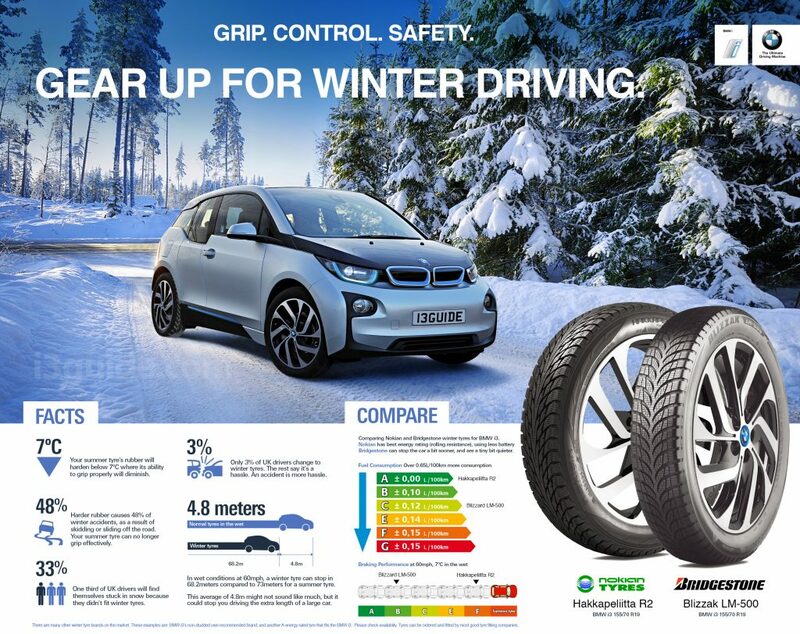 Then, by the end of the year, Nokian announced their all-new winter tire designed specifically for the BMW i3. This infographic is from BMW directly, recommending one of the 2 following winter tyre setups for winter driving, including some stats on why winter tires are safer. 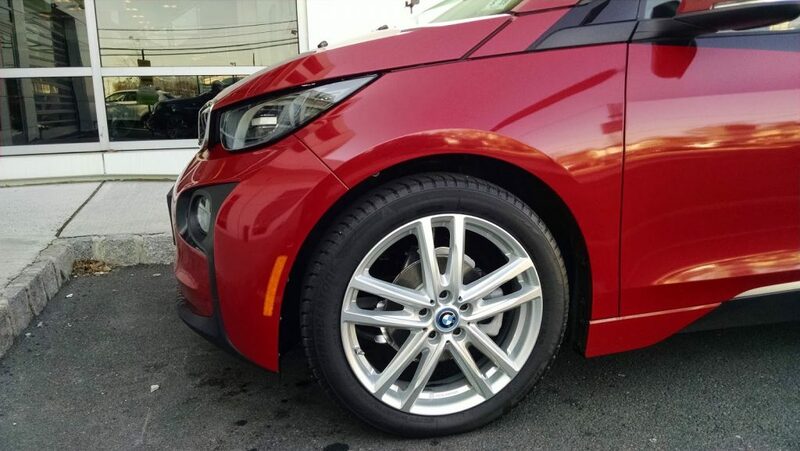 155/70R19 Blizzak Winter Tires (available from TireRack) and Rial Wheels (see BMW i3 Aftermarket Wheels) are what Tom Moloughney put on his BMW i3 to prep it for winter in Northern New Jersey. Unfortunately, Blizzak only makes them in the 19″ version which is why Tom also needed aftermarket 19″ rims instead of just using the stock 20″ alloys that came with the i3. Another option for winter driving is snow chains. Due to the unique wheel sizes, tire chains for the BMW i3 can be difficult to find.